The BBC celebrates naked eye stargazing (hat tip to Randy). I have mixed feelings about the piece. On one hand, it is great that such a widely-read outlet is not only featuring astronomy, but focusing on zero-equipment, zero-cost stargazing. On the other hand, it’s a minor tragedy that their selection of objects is so out of whack with the seasons. Of the five naked-eye highlights featured in the article–Orion, Ursa Major, the Andromeda galaxy, the Pleiades, and the Milky Way–only two can be seen easily by most people right now. Those are Ursa Major (including the Big Dipper), which looks good pretty much all the time from the northern latitudes where the BBC offices are, and the Andromeda galaxy, which is just rising at sunset and well placed (up out of the near-horizon murk) by about 9:00 PM. The Pleiades don’t rise until midnight and aren’t well placed until about 2:00 AM, with Orion trailing a couple of hours behind. 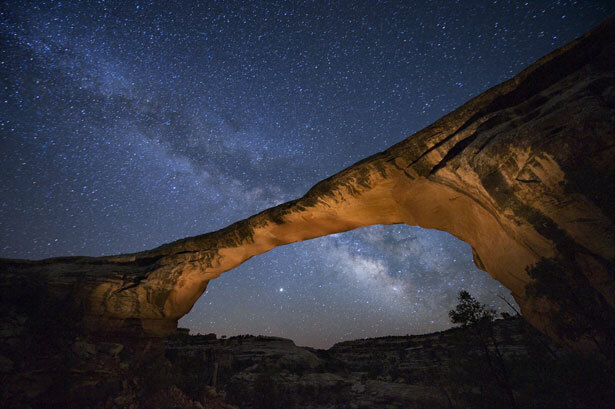 The Milky Way is high and bright this time of year, but tragically it is the first victim of light pollution, and if you live in or near a major metropolitan area, you can pretty much forget about seeing it unless you can travel to a dark sky site. The best seasonal highlight, and the one whose omission from the BBC list irks me most, is Jupiter. I haven’t written a mission about Jupiter yet, but it’s the coming thing. To the naked eye, the king of planets is the brightest star in the heavens (second only to Venus, which never strays very far from the sun), a brilliant jewel arcing across the southern sky on summer evenings. With binoculars, you can see the four Galilean moons, and even modest telescopes will reveal a few cloud bands. Last night it was overcast here but I could still see two bright patches lighting up the clouds. One was the waxing gibbous moon, just one night past first quarter, and the other was Jupiter, a small but intense spotlight off to the southeast. So. I feel bad knocking the BBC piece. The night sky belongs to everyone and I am convinced that most people are fascinated by it and that our lives are enriched by a connection to it. Anything that gets people out there looking is therefore a good thing. I just think that arming people with a modicum of information on how to find things and what to expect is not an unreasonable expectation. I guess that means I have to put my money where my mouth is, eh? Stand by for that Jupiter post (UPDATE: it’s up now). Image at top from here.